Tile roofs (Clay or Concrete) are beautiful but not waterproof. It is a watershed and considered a decorative roof covering. The actual waterproofing is provided by the underlayment or water barrier installed underneath the tile. While some barriers are more durable than others, all deteriorate over time, especially in the "New Mexico sun." This usually takes 12 to 20 years, depending on several factors. When it deteriorates, the barrier must be removed and replaced. 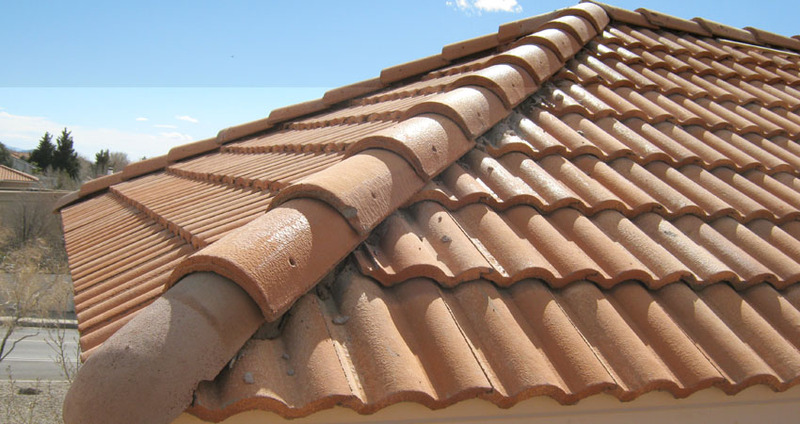 Clay or concrete tile are considered durable roofing materials. Mission and Spanish style tile are commonly used in the desert southwest. Flat style tile are also available to create a traditional French or English look. 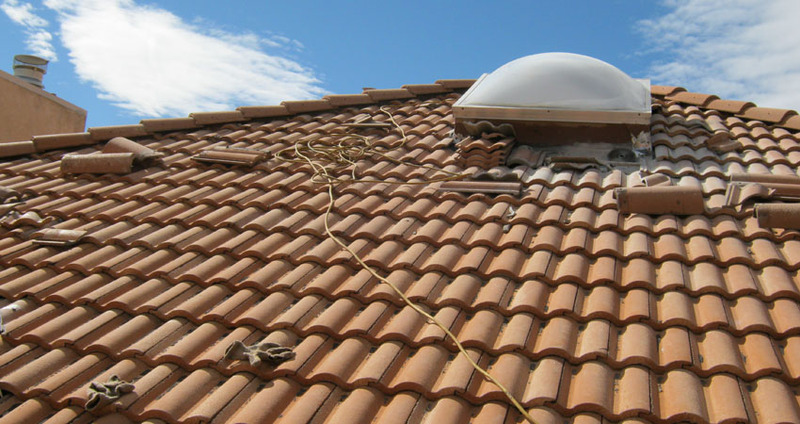 Tile comes in a variety of colors and finishes and compared to other roofing materials, is quite heavy. If you are replacing another type of roofing material with tile, an Architect or Engineer will need to verify that the structure can support the extra load. A tile roof is one of the most sound investments you can make when purchasing a home or re-roofing your current residence. Tile roofing is growing in popularity due to its many architectural and color choices available, its energy efficiency, durability in hot and high wind climates and its limited maintenance needs. The initial cost of having a tile roof installed is more expensive than asphalt shingles, however, the lifespan of a tile roof can be twice as long.